Question: My employer dismissed me without having followed any pre-dismissal procedures. When I referred a dispute of unfair dismissal to the CCMA, my employer offered to reinstate me in order to rectify the pre-dismissal process. Is this lawful, and how will it affect my unfair dismissal case? The set of facts in this scenario corresponds with the matter of Heath v A & N Paneelkloppers (2015) 36 ILJ 1301 (LC). In this particular case, an employee had been dismissed, ostensibly due to her pregnancy. 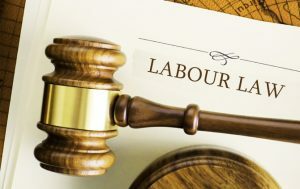 The employee referred an unfair dismissal dispute to the Labour Court, based on discrimination due to pregnancy. Shortly after that the employer offered to reinstate the employee. The employee refused the offer of reinstatement and proceeded with her dispute. 74.5 The Court should ultimately decide if the offer was made bona fide, and constituted a genuine attempt to remedy the wrong committed. The Court took the above details into account, which ultimately impacted the sum of compensation granted to the employee due to her automatic unfair dismissal – the court only awarded compensation for having been discriminated against due to pregnancy. It was actually noted by the court, after having applied the principles outlined above that, had it not been for the fact that the applicant’s dismissal was automatically unfair because it related to her pregnancy, the applicant might have been in a situation where she would have received no compensatory relief because of her refusal to accept the reinstatement offered. What this case illustrates is that an employer who dismissed an employee for whatever reason is entitled to offer reinstatement to such employee in order to rectify deficiencies in the pre-dismissal process. It would be prudent for a dismissed employee not to treat an offer of reinstatement flippantly, as the offer could drastically impact the merit of any further unfair dismissal dispute.